Discussion in 'World Affairs' started by BlackIndian, May 23, 2017. Isn’t it time the South received it's due? After all, 20% of the population contributes a full 30% of India's tax revenues. This is the money that runs the country. The South also delivers a fourth of India's GDP. It is not only an economic bellwether with low unemployment, a high rate of industrialisation and a per capita GDP that is over double that of the Hindi belt, it is also leaps ahead on human development and social indicators. 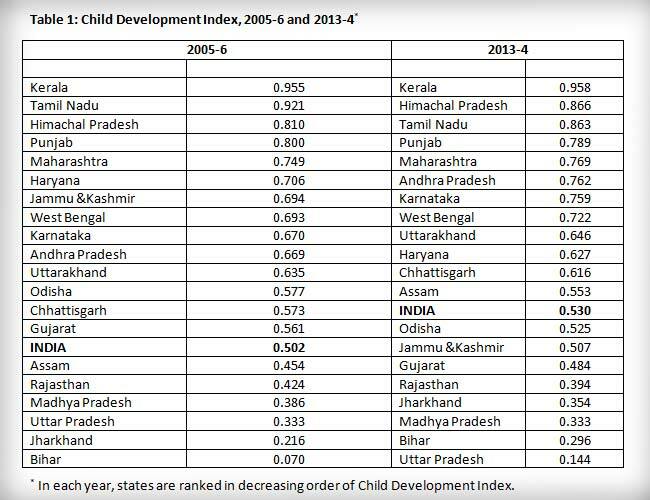 Child development indices are double to 7 times higher than the Hindi states, literacy rates tend towards an average of 80% with a 10-point difference against the North, and accessibility to health and hygiene facilities is radically better. The gulf in human development is so stark that while fertility rates in the South are closer to that of Western Europe, much of the North is still getting their act together on basic issues like birthing babies without losing mothers. The bottom line is that the development politics of the South has made it economically comparable to Hong Kong, while the atavistic politics of the North has dropped it far down the scales in the last six decades. A measly fifth of the population sponsors India's tax revenues to the tune of a third of the total, and in return, the five Deccan states get a paltry 18% of funds allocated back from the centre. The state allocations speak to the quantum of skew. While Tamil Nadu gets about 40 paise for every rupee it generates for the centre, Uttar Pradesh fattens itself on Rs 1.8 per rupee it generates. It should be remembered that Uttar Pradesh had a distinct economic and social advantage over the southern states coming out of British rule, which it has simply squandered away through mis-governance and profligacy. The South, in turn, for prioritising education, health, economy and social reform, as governments should, receives the proverbial slap. Little wonder then that Chief Ministers across the southern states, regardless of political dispensation have cried foul for years now. The Andhra CM took the most fun route and urged locals to resort to rapid reproduction to compensate. The Telengana CM played victim and pleaded for special allocations while the Tamil Nadu CM has resorted to aggressive posturing on the GST. Going beyond states and in keeping with the gross disproportion, the Urban Development Ministry allocated Rs 20,000 crores in 2016 for the development of Delhi alone. That, is more than the cumulative allocations for Hyderabad, Bengaluru, Chennai and Kochi. This, when the cities of the South are the top job creators for India with massive immigration for both the formal and informal sectors, levying a heavy strain on infrastructure and urban development. In putting India ahead of narrow regional interests and generating extraordinary tax revenues to fund Delhi, UP, Bihar, MP and the overpopulated, under-educated, under-delivering, and over-pandered Hindi belt, the south carries a heavy cross year after year. For this achievement, the south gets a fiscal allocation downside, as vote-bank electioneering of the north overrides federalist policies. Moral? The lower the per capita income and higher the population, the greater the reward. In other words, a Dakshin Bharat Cess. Below is the Fourteenth Finance Commission's own admission of percent of states' GDP transferred by centre, with a 2-5x tilt towards UP or Bihar or MP. Adding salt to the economic injury, the South gets a step-motherly treatment culturally as well. Funds for the preservation and nurturing of its unique identity and autonomy are negligible to non-existent. The propagation of Hindi, for example, just one of the official languages of India, gets thirty times the amount allocated for all other languages combined! What is taken from the South and what is returned for its development reeks of bias. What then is the solution when democratically rendered justifications, pleas, complaints, negotiations and bargains have failed to strike a chord for decades? @SrNair We are all Indians right? But the central government loves Northern Bhaiyyas more. Thank you for the tag and very informative, fact based overview. It helps us understand your reasoning much better. I would like to know the level social development and education in your part of the world as well. If your industry and economy is developed as much as these facts show..then your social, educational outlook will also be different as well. Such things help to form an educated point of view for us outsiders. All the best with you family and your affairs in life. Interesting article. The South does have a different approach to things, one that seems to have worked in improving quality of life. Hopefully it can be applied everywhere in India. I've noticed threads like these elsewhere too. Interesting side of India that I didn't knew. Why do you think the South managed to get so much ahead of the North? Access to the sea? Large overseas South Indian diaspora who send back remittance? Smaller population? A lot of Indians deny that North Indians are exploiting other Indians. When I point out the reality I get labelled as a troll or a false flagger. You are a troll because you call people names. And because you troll. You have given no credit to the author and passed it as your own. Secession? No. The Indian nation is sacrosanct and India only wins when all Indians have a decent life, education, health care, jobs and social dignity. All means all. Women. Dalits. Muslims. South and North. East and West. We must allocate resources equitably for the development and progress of one and all including and especially the weakest of us. We must march ahead, but hand in hand with the most ravaged, forsaken members of our society. As a fraternity. That said, the asymmetry thus far is unreasonable and disproportionate, not only in rewarding incompetent governance and delivery failures, but doing so with an accompanying dose of prejudice, vested interests and parochial politics. To make matters worse, the “All roads lead to Delhi” model of uber-centralisation with blatant infringement into state subjects like education, and meddling with state functions like their administrative bureaucracy or land acquisition, makes it apparent that the centre abuses its powers, roles and resources. Such an overbearing presence not only hampers governance in states, it actually applies the brakes on progress. Again, like I said. You are a troll. The censorship and plagiarism on display shows that you may be a low life troll and nothing more. Centre Govt gives more importance to North because they have most proverty stricken people. Funny, I based on the statistics - Western India I.e. Maharashtra, Gujarat and Goa put together could make the exact same argument. Nice job trolling and plagiarizing though. And Maharashtra is not South Indian according to the original article or this article. While it is heartening to know that southern states of India are contributing well to India's economy, South Indians would not like their states to be treated as a separate entity. India is not a business venture where each state claims its share of profit. The south is under attack. They just do not know it yet. Keyboard southern warriors are deluded enough to believe that they are actually one with the attackers. There is a complicated English word for this mass delusion. There is something called direct taxes & indirect taxes. Direct tax is what shown in the info-graphic. Again Southern states get most of the research & development institutes. BIMARU states do get higher than normal share to fight poverty which is right thing. care to explain the delusion thing. pleasure derived by someone from another person's misfortune. Southies are deluded into thinking they are riding on the rath of Hindutva shoulder to shoulder with the northies. Sadly for them they do not realise that Hindutva is by the north and for the north. And the southies are the "others". Who are being tolerated, till the Muslims of India are first cleansed. Hindutva will only run in the north not in the south. There is no buyers for it in south. It is more due to historical experience of being on the border. politicians in the north also know that there is a limit beyond which they cannot move. Even Indira gandhi could not do anything with all the authoritarian power. You dint answer the part how delusion is linked to schadenfreude? GSBs and Nairs of Kerala - Do note when you get excited by RSS ideologies. There is more vitriol in the educated south than there is historical blood and mazhab and caste cleavages in the north. The schadenfreude is the southies rejoicing at the misfortune of the Muslims and other minorities in general. The delusion is them not recognising the focus and target of the larger movement.